N 6° 17' 48" and E 101° 43' 42"
Ra-ngae in Changwat Narathiwat with it's 16,862 citizens is a town in Thailand about 522 mi (or 840 km) south of Bangkok, the country's capital city. Current time in Ra-ngae is now 02:38 PM (Sunday). The local timezone is named Asia / Bangkok with an UTC offset of 7 hours. We know of 8 airports near Ra-ngae. The closest airport in Thailand is Narathiwat Airport in a distance of 15 mi (or 25 km), North. Besides the airports, there are other travel options available (check left side). There are two Unesco world heritage sites nearby. The closest heritage site is Archaeological Heritage of the Lenggong Valley in Malaysia at a distance of 100 mi (or 160 km). When in this area, you might want to pay a visit to some of the following locations: Yi-ngo, Cho-airong, Narathiwat, Chanae and Rueso. To further explore this place, just scroll down and browse the available info. Let's start with some photos from the area. TTCM Sri Sakhon International Challenge III 16-18 May 2014 at Narathiwat, Thailand Triton Tuners Club Malaysia. Narathiwat is one of the southern provinces (changwat) of Thailand. 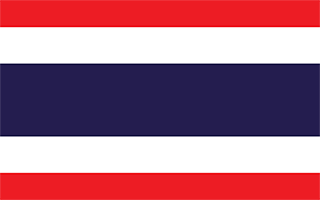 Neighboring provinces are (from west clockwise) Yala and Pattani. To the south it borders the Malaysian state of Kelantan. The southern railway line ends in this province, which is one of the nation’s five provinces that borders Malaysia. The province features a range of cultures as well as natural resources, and is relatively fertile. Located at 6.42889, 101.824 (Lat. / Lng. ), about 11 miles away. Narathiwat is a town in southern Thailand and capital of the Narathiwat Province. The town is coterminous with the Mueang Narathiwat district and was established in 1936. As of 2008, the population was 40,521. Located at 6.41667, 101.817 (Lat. / Lng. ), about 10 miles away. Princess of Naradhiwas University (PNU) is a government sponsored university in Narathiwat, southern Thailand. It was founded under the act on 9 February 2005 by merging all educational institutions in the province together. Those institutions are Narathiwat Technical College, Narathiwat Agricultural & Technology College, Takbai vocational college and Boromarjonani College of Nursing, Narathiwat. Located at 6.45575, 101.79 (Lat. / Lng. ), about 12 miles away. Located at 6.19009, 101.798 (Lat. / Lng. ), about 9 miles away. The Faculty of Medicine, Princess of Naradhiwas University is a medical school located in Narathiwat, southern Thailand. The 18th medical school established in Thailand, founded in 2005, now the Medical School is run in collaboration with Songkhla Hospital. Located at 6.45467, 101.789 (Lat. / Lng. ), about 12 miles away. These are some bigger and more relevant cities in the wider vivinity of Ra-ngae.